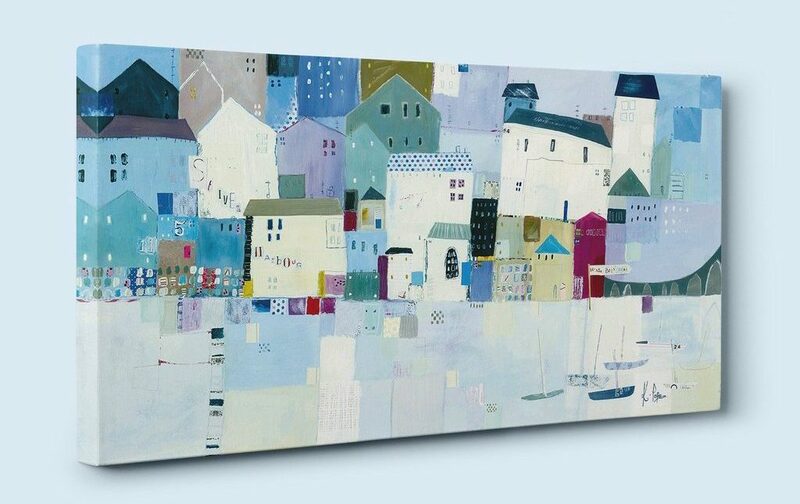 Canvas art is famed for being stylish, contemporary and versatile, making it a wonderful feature in any home. It’s become a hugely popular choice among interior designers and DIYers alike, and complements all sorts of spaces – from modern rooms and buildings, to more traditional and classic ones. Wherever you’re looking to add canvas art, there are a few considerations to keep in mind when styling it within the surrounding decor. 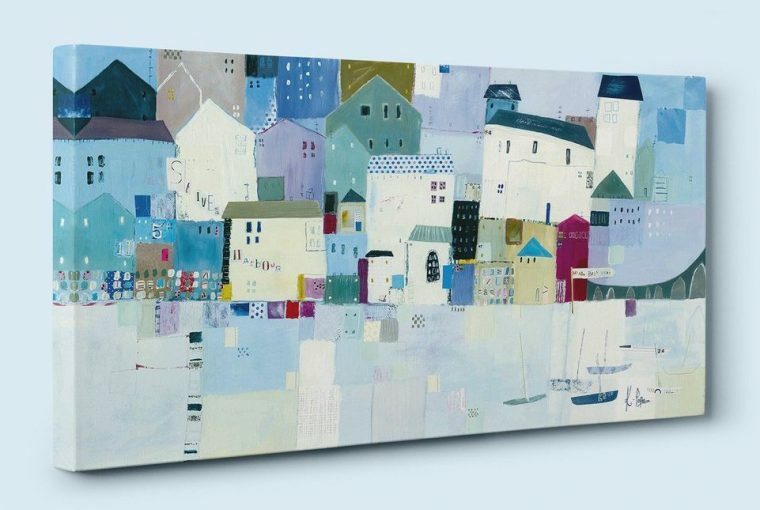 Canvas art appeals to many because of its simple and stylish design. Often wrapped around a wooden frame, the picture takes centre stage without any distraction from an outer frame. This means you only have to think about the art’s subject and how it fits within your home. Firstly, it’s worth considering the type of mood you want to create with art, and also where you plan to place it. These factors will help you decide on design and colour. For example, perhaps you’d like a single, bold item to be featured on the canvas, which can provide a focal point in a busy space. Alternatively, a seascape with pastel colours can add serenity to a bedroom, or bright splashes of colour will brighten up a dark hallway. 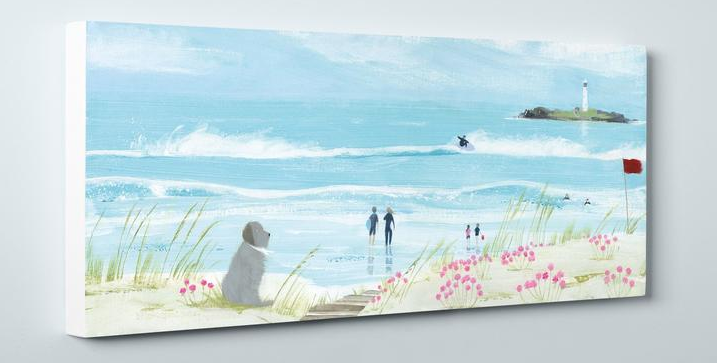 Whatever you’re looking to achieve in your home, there’s a canvas design to suit. When it comes to colour, choosing a canvas that will complement your home’s colour scheme will help it blend seamlessly. Of course, if you want to create contrast with colour, it’s worth referring to a colour wheel to ensure the tones work well together. On the other hand, if you’ve fallen in love with a canvas, you can help it fit within a room’s decor by selecting soft furnishings with similar tones. Adding these hues will help create flow through your home, as well as draw the eye to the art’s colours. Placement is key to getting the most enjoyment from your art, as well giving it ultimate style. To get this right, you’ll need to take the age of your house into consideration, as well as the overall style that you’ve created. For more modern homes, fewer pieces of art work best. This is in keeping with the minimalist nature of contemporary design, and allows your art to make an impact, rather than sink into the background. Also, think about the size of the wall you want to place the art, and opt for a canvas that makes a statement without overpowering the space. You can also synchronise your art with a series of similar designs, placed throughout a room or the entire home to reinforce a theme. When measuring up for hanging artwork, there’s one simple rule to remember – your art should remain at eye level. The bottom of the piece should be roughly 15cm from the top of your furniture, such as the dining table or sofa, so you can see it easily. And if it’s hanging in an open space, like a hallway, ensure that the centre of the piece is comfortably at eye level, allowing it to be enjoyed without having to look high and low. If you have a more traditional home, you may want to cluster your canvas art with other pieces, as this will help marry contemporary and classic design. Whatever style of canvas art appeals to you, these techniques will allow you to blend it stylishly within your home. 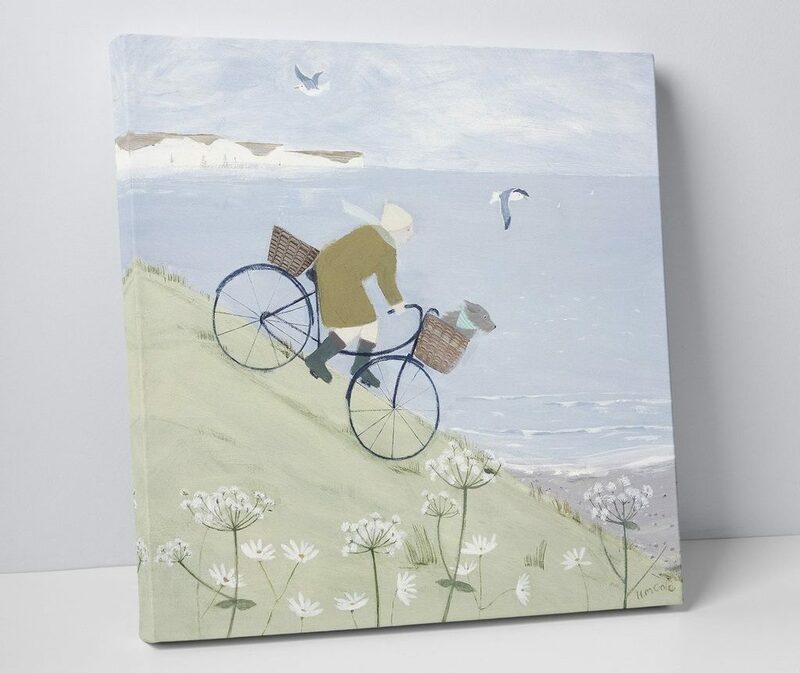 For inspiration on your next piece, have a look at the Whistlefish canvas art range of charming designs from a variety of artists.